Want to be an Instagram celebrity? It's easier than you think. Becoming a Public Figure on Instagram is a matter of knowledge, not popularity. 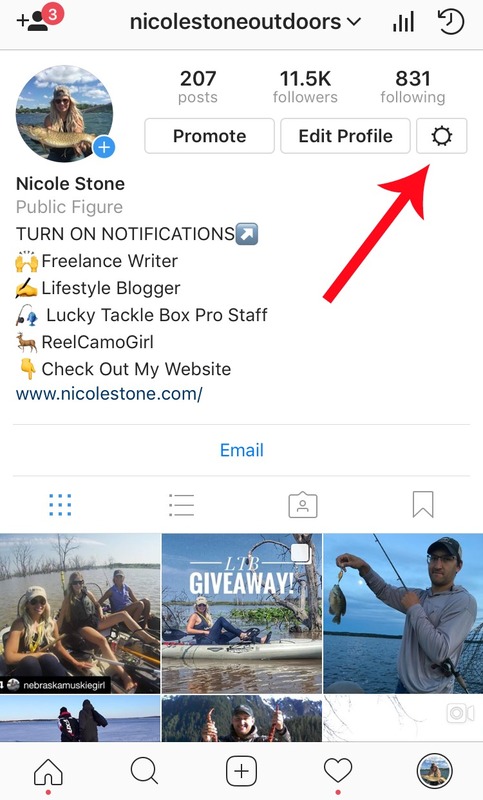 Lately, I've been getting asked a lot of questions regarding my Instagram profile and my "Public Figure" status. Therefore I decided I would write a post on just how easy it is to achieve this profile, as well as the benefits of having it. The only requirement? A Facebook page. I'm guessing that wasn't what you were expecting. However, Facebook owns Instagram so they are essentially encouraging the use of both platforms simultaneously and pushing the younger Instagram audience to utilize Facebook. If Facebook isn't your forte, don't fret. Just because you have to activate a page doesn't mean you have to use it or advertise it to anyone. Because now it looks like you matter. You can have 100 or 1,000,000 followers and still be portrayed as a public figure or "celebrity" on Instagram. This is done by simply changing your category. If you don't know what I mean when I say category then check out the image below where I'm considered a Public Figure. By implementing this one feature, users are more likely to think you are a "big deal". Being a "big deal" generally leads to more followers. Best. Marketing. Move. Ever. In addition, you also have access to Instagram analytics, which can be even more beneficial than the title itself. Knowing your audience and what they want can do wonders for your Instagram game. Although changing the title is relatively easy, most people are unaware that they even have the power to do it. However, I'm here to tell you that YES YOU DO and you should. Below is my step-by-step instruction so you can be an "Insta" celebrity in less than 5 minutes. Make a Facebook Page. You absolutely need to make a Facebook page if you are going to have a status under your name. This includes picking a Facebook category for your page. Many people (including me at first) don't appreciate the thought of managing a Facebook page, especially if you are running Instagram for fun and not for business. Let me first off state that no, you can't make your Facebook page private, but unless you are actively posting on it, you don't need to worry about anyone (even your friends) finding your page. One of the joyous parts of Facebook's algorithm (cue the sarcasm). So how do you set-up a Facebook page? Below is an image of Facebook for mobile. The first image shows you how to create the page. Start by clicking the three lines as shown on the bottom right. Than you will notice a page similar to the first one. Click on Pages. Next comes the page setup. Be sure to pick the appropriate categories as that will be directly displayed on your Instagram profile. 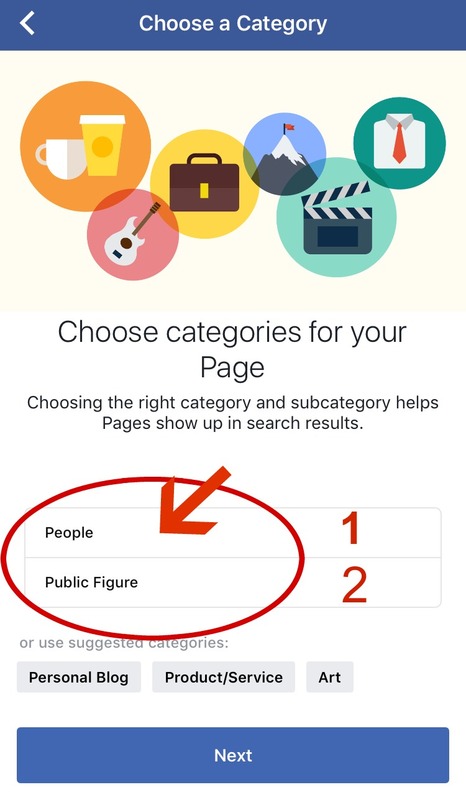 This is where I chose "Public Figure". You will have to choose Category 1 and 2. The remaining page setup is entirely up to you and how in-depth you want to go. However, you can simply publish the page as is once you've achieved this step and chosen a name. It's that simple. Next, you will have to link your page to your account. You can achieve this by clicking on the settings bar on your Instagram profile (as shown by the red arrow). Then pick Business Profile (as shown by the red arrow). Then hit "Log in with Facebook"
You are DONE! But now you will want to check out the analytics benefit. To do this click on the icon to the right, as shown in the image below. Instagram's analytics can show you the best times, your best posts and your audience. All of this helps you put out specific content to help drive your followers and engagement rate. I highly recommend using these insights to help build your brand.